We cannot guarantee which tracts are in each pack, but there will be a variety of at least 5 different tracts that we offer. 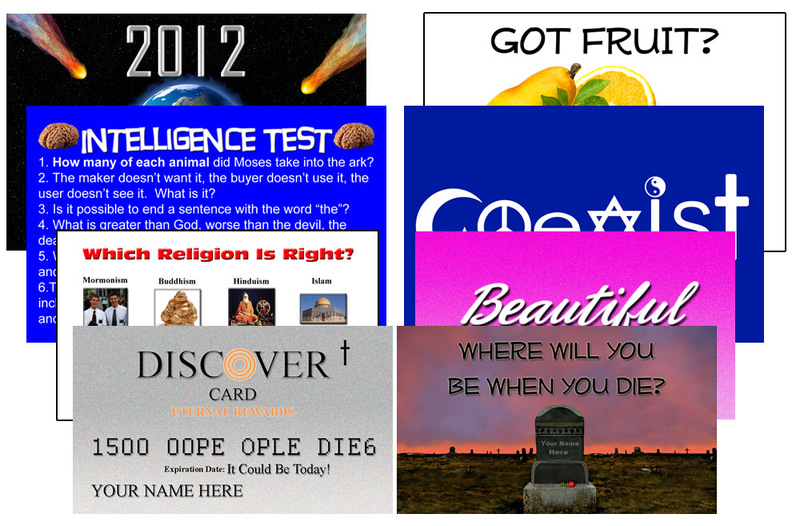 The pictures above may or may not be included in your sample pack. This will help you to see the quality of our tracts and help you to see how easy it is to pass them out. I order one of these packets every time I place an order. They have a varied example that shows the different products and styles. Worth every penny and something of interest to everyone. Highly recommend if you are a first time customer or looking to buy.